Posted On January 11, 2015 by &filed under Legal Articles. Section 185, effective from September 12, 2013 and Section 186, effective from April 1, 2014 are two provisions of the (“Act”) which have created much anxiety among the business community because of its direct impact on capability of the businesses to raise finance. A bare reading of Section 185 of the Act, suggests that advancing of loans or giving of corporate guarantee or providing any security by any company (for the purposes of this article, the “Lending Company”) to a firm and/or body corporate with common management with such Lending Company is completely proscribed. Also prohibited are transactions where the Lending Company is advancing loans, providing security or guarantee to body corporate, the management of which is accustomed to act in accordance with the direction or instructions of the board of directors/or any director of such Lending Company. No guidance has been provided as to what constitutes “acting in accordance with the direction or instructions of the board of directors/or any director”. Furthermore, this provision has been made applicable both to the public and private companies and even the provision of undertaking such transactions with the approval of the Central Government (as under Section 295 of the Companies Act, 1956) has been omitted under the new Act. The compliance of Section 185 of the Act has been ensured by putting in stringent punishments for contravention, the fine being as high as Rs.5,00,000 (Rupees Five Lakhs) extendible to Rs. 25,00,000 (Rupees Twenty Five Lakhs) for the Lending Company. The director or any other person to whom the loan is advanced or guarantee or security is given or provided in connection with any loan taken by him or the person shall be punishable with imprisonment which may extend to six (6) months along with a fine which shall not be less than Rs.5,00,000 (Rupees Five Lakhs) but may extend to Rs.25,00,000 (Rupees Twenty Five Lakhs) or both. The stakes being this high for both the Lending Company and the persons receiving such loan and/or the benefit of the guarantee/security, makes it very important to understand the nuances of this provision. Any loan provided by a holding company to its wholly owned subsidiary company for its principle business activities. Any guarantee given or security provided by a holding company in respect of loan made by any bank or financial institution to its subsidiary company for its principle business activities;Even though ‘principal business activity’ has not been defined under the Act, generally the activities provided under the main objects of the memorandum of association should qualify as a principal business activity of that company. The Lending Company has in the past provided loans/guarantees/securities to such entities as a matter of routine. The frequency of such transactions and a certain amount of continuity is imperative as ‘business’ itself implies carrying on a particular trade or vocation as a ‘continuous’ activity by application of labour, skill and money to earn the income. Also, important is that such transactions have been appropriately disclosed in the financial statements of the Lending Company for the past years. The disclosure of such transactions in the financial statement indicate that such activities were being carried on normally in the usual course of business, specifically inclusion of the amounts involved as ‘business income’ gives further credence to the fact. The memorandum of association of the Lending Company allows for such transactions i.e. the providing of loans/guarantees/security to other entities should be part of atleast the incidental or ancillary objects of the memorandum of association. The Courts have not been uniform in their ruling with respect to the significance of the objects clause of the memorandum of association in making this assessment. The Courts also differ on whether an activity is in ‘ordinary course’ only if is part of the main objects or whether an activity ancillary to the main objects may also be considered so. The Lending Company has passed a board resolution, specifically, categorising the transaction as being in ‘ordinary course of business’. Also, the board should have examined the transaction from the perspective of Section 185 and should have resolved to undertake the same. The consent of all the directors present at the meeting should have been obtained in accordance with Section 186 (5) of the Act. Whether a transaction is in the ‘ordinary course of business’ is a question of fact and a board resolution is important in making this assessment. The loan documents/security documents executed for the purpose of the loan/security/guarantee provided by the Lending Company should contain a clause stating that the transaction contemplated therein is in ‘ordinary course of business’. The transaction should be conducted at arms’ length basis and appropriate disclosures should be made with respect to the interest of any management of the Lending Company in the entity receiving the loan, guarantee or security. Ultimately the aim of Section 185 is to prohibit related party transactions where the Lending Company provides undue advantage or gain to any other entity related to the management of the Lending Company and to avoid conflict of interest scenarios for directors of such Lending Company. The loan or the guarantee/security to be provided should be within the limits prescribed under Section 186 of the Act i.e. it should not exceed the higher of 60% (sixty percent) of the paid up share capital, free reserves and securities premium account or 100% (one hundred percent) of its free reserves and securities premium account. Alternatively, if the giving of loan, security or guarantee is beyond the prescribed limits the Lending Company should have obtained special resolution of its shareholders in the general meeting. The Lending Company should disclose to its members in the financial statement the full particulars of the transaction, including the purpose for which the loan or guarantee or security is proposed to be utilised. The prior approval of each of the public financial institution from which the Lending Company has availed any term loan should be obtained in case: (1) the loan or the guarantee/security to be provided by the Lending Company is beyond the limits prescribed under Section 186 of the Act; and/or (2) the Lending Company has defaulted in repayment of loan instalments or payment of interest as per the terms and conditions of the term loan availed from the public financial institution. The Lending Company should not be in default of repayment of any deposits or payment of interest. The Lending Company shall have maintained a register in Form MBP 2 as per Companies (Meetings of Board and its Powers) Rules, 2014 and enter therein the particulars of loans and guarantees given, securities provided by it. The borrowing company shall have obtained requisite special resolutions under Section 180 (1)(a) and Section 180 (1)(c) of Act, if applicable. One view in the market is that as Section 185 of the Act begins with ‘Save as otherwise provided in this Act’, it should be subject to Section 186 of the Act, implying that any transaction permitted under Section 186 should be permitted under Section 185 of the Act. However, this view makes the very existence of Section 185 redundant which could not have been the intent of the legislature. Such an interpretation of Section 185 should be avoided. A popular method being used by financers/investors and creditors to comply with Section 185 is to make the Lending Company providing the security or guarantee a co-borrower to the lending transaction. This works well for some transactions but in other cases group companies are found reluctant to undertake such responsibilities. Also, financers/investors/creditors have been seeking organisational restructuring of holding and subsidiary companies including eliminating common directors and other senior management to avoid falling within the purview of Section 185. For further comfort, certificates of non applicability of Section 185 from the company secretary or a director of the Lending Company is being insisted upon as pre-condition to such lending transactions. 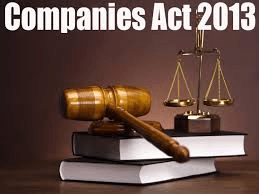 One must look at Section 185 of the Act in the right spirit in which it was modified from its predecessor provision under the Companies Act, 1956. The objective was not to hinder business and financing of businesses but was to discourage related party lending transactions which bred favouritism and nepotism. Any transaction should be tested on the anvil of Section 185 of the Act while keeping this in mind. The expression “business of financing of companies” shall include with regard to a Non-Banking Financial Company registered with the Reserve Bank of India, the “business of giving of any loan to a person or providing any guaranty or security for due repayment of any loan availed by any person in the ordinary course of its business”. what if Subsidiary is providing Guarantee or Security for Holding Company?? My doubt w.r.t. above matter is that why a lending company like a bank / NBFC needs to check applicability of sec 185 while lending to company A wherein security/guarantee is provided by company B for structuring purposes. Company B should check it sec 185 gets contravened or not; but why finance company should be concerned about it. 102 queries in 0.204 seconds.